Stay up to date with what we are working on, talking about and exploring. From grapes, wine, travel and fun! 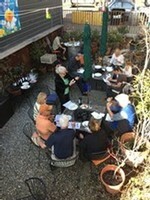 The people, the wine, and the weather made for a wonderful global wine tasting in the garden this past Saturday. This tasting featured wines that Carol and Gary personally selected and brought back home from Spain. Stay tuned for details on future global wine tastings and navigate over to our facebook and instagram pages to see more pictures from this event! The Zucca's spent the last half of November in Spain researching and exploring the Northern wine industry. "We toured some exceptional wineries in the La Rioja and Navarra regions of Northern Spain," Carol said. As with Italy, France, and elsewhere the Zuccas have toured, these Spanish wineries left lasting impressions on the couple. Gary was particularly intrigued by the unique stories and long family lineages at many of these businesses. "What impressed me most about the Spanish wineries was their history. Most wine makers are in their third to fifth generation; some are making wines the same way they did 1,000 years ago, and some are using the most modern techniques," he said. The Zucca's wanted to share their experiences with ZMV wine club members and came up with a way to do just that. "[We] brought back wines we thought our wine club members would like to try," Carol said. 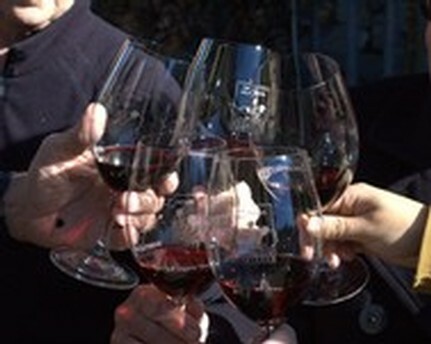 "We hope you will be able to join us for a special tasting on Saturday, January 31st. We would love to hear what you think." Like us on facebook, or follow us on instagram to see more photos from the Zucca's trip!